Whether it's for everyday tasks or an urgent situation, Schrade's SC60BRTS automatic knife has what you need. The tanto blade is designed to handle piercing and slicing tasks you encounter every day, while the glass breaker tip is available in case of an emergency. 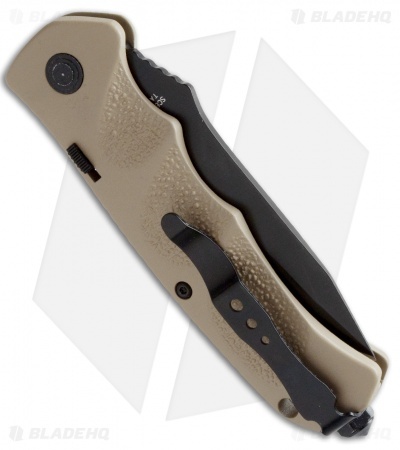 The desert tan aluminum handle features sculpted and textured grips to improve safety and handling. The push button offers fast action and secure lock up. 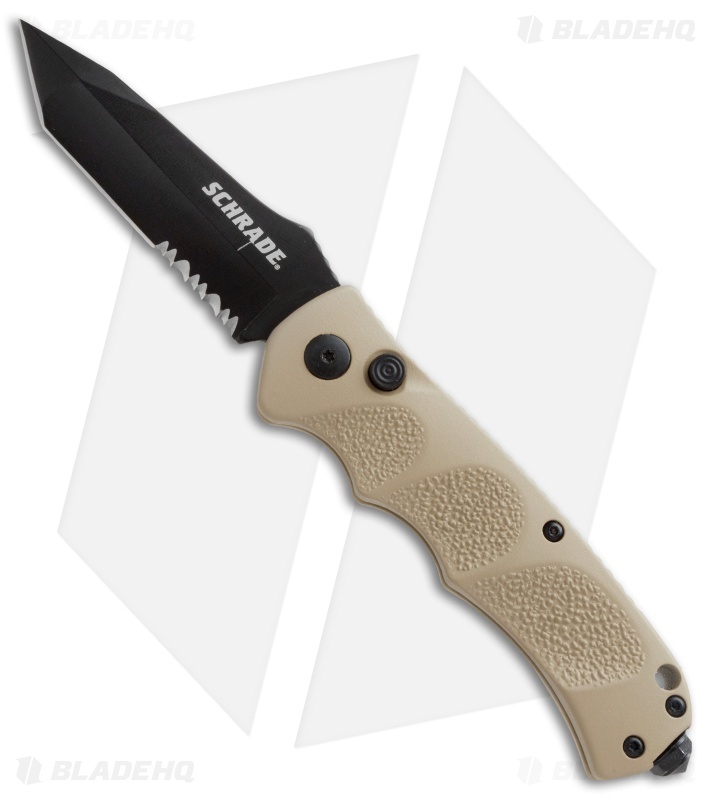 A tip-up pocket clip and lanyard hole mean you will always have this blade within easy reach when you need it.